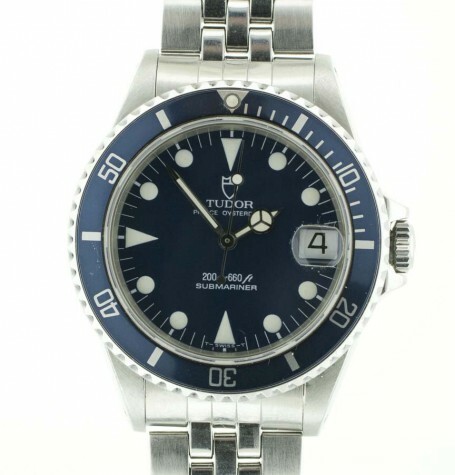 Tudor mid-szied Submariner model 75090 with blue bezel and dial. 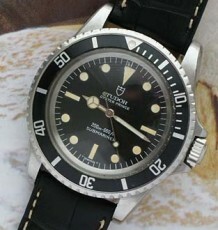 Tudor Submariner mid-sized watch dating to sometime around the year 2000. 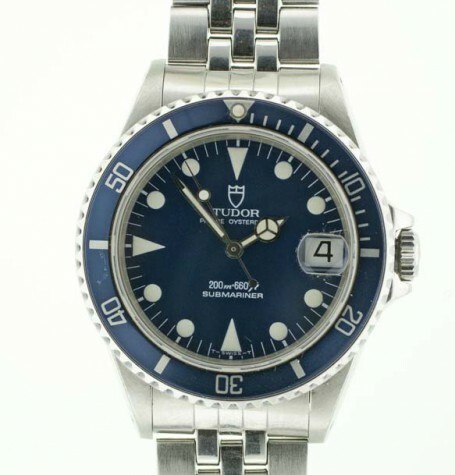 The watch features a sapphire crystal in a more manageable case for anyone who finds the 40 mm case of a full-sized Rolex or Tudor Submariner too large. 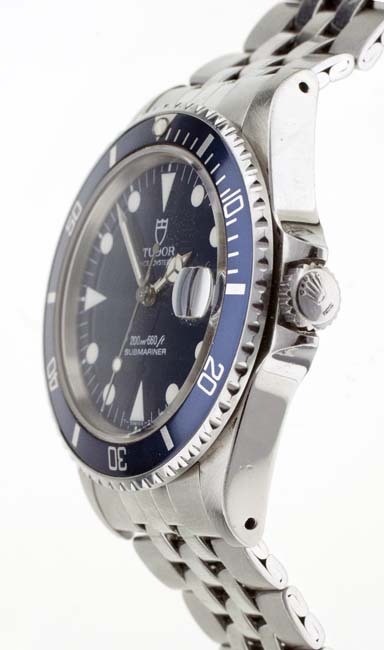 The watch features a blue coloured dial and bezel combination. 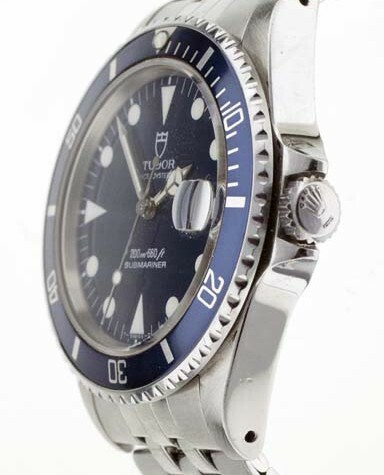 The Blue dial and bezel insert is a feature used on Tudor Submariners but not steel Rolex Submariners. 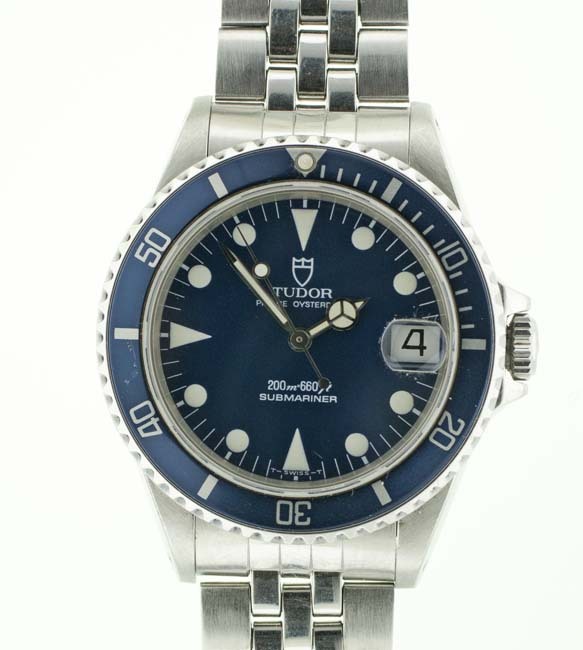 The Rolex 2 tone Submariner did offer the dual blue (dial/bezel) option however. 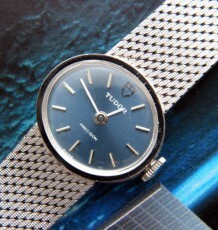 This model also uses the famed Rolex Mercedes patterned hand set instead of the earlier snow flake set. 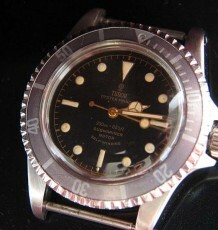 The watch is fitted with a Rolex modified ETA movement which was just serviced by my Rolex trained watchmaker. 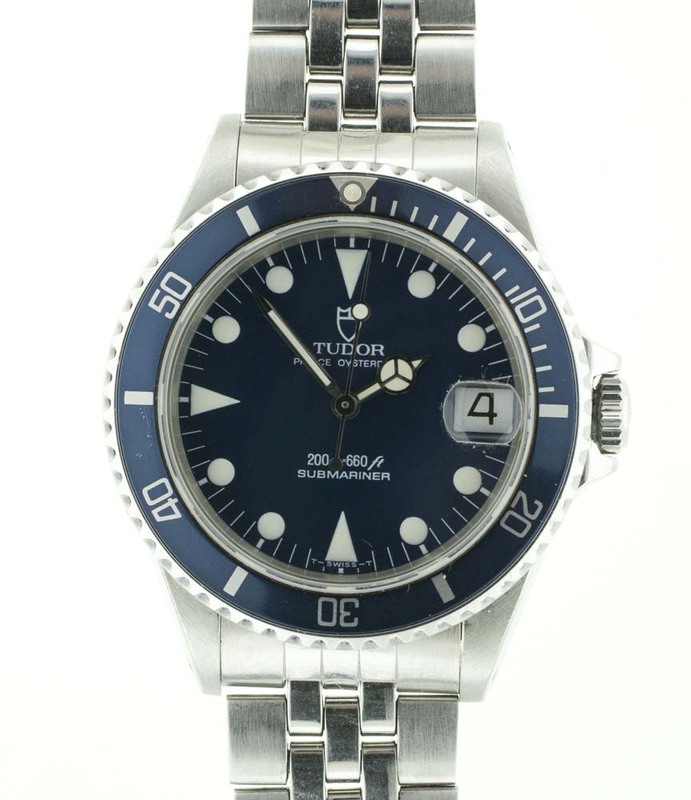 Tudor and Rolex shared the Oyster cases for the full-sized Submariners however Tudor produced smaller sports Oyster cases for this mid-sized model and the even smaller woman’s model. 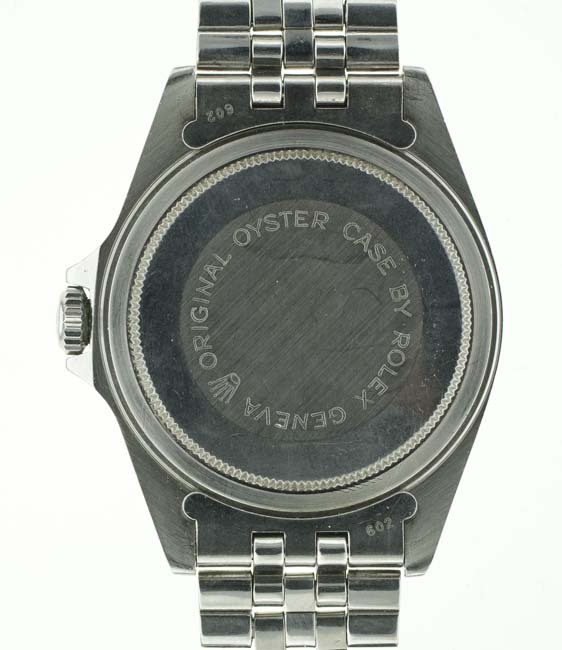 The back of the watch is signed Oyster Case by Rolex as evidence of the Rolex heritage in this model. 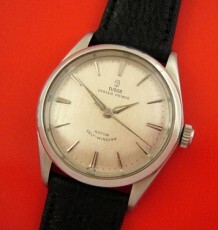 This model carries a case reference of 75090. 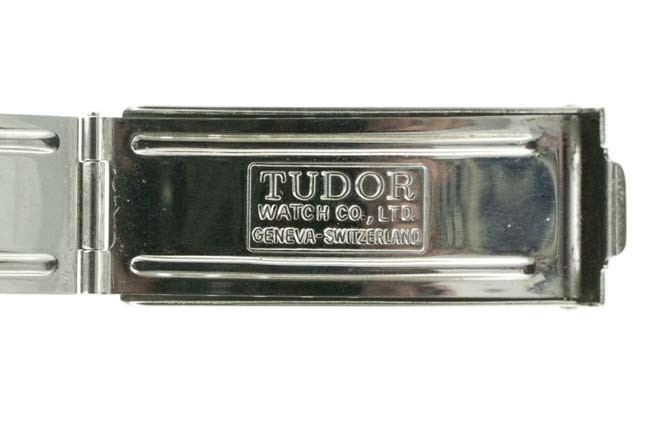 The Tudor Submariner mid-sized models came with either an Oyster or Jubilee styled bracelet and this particular watch comes with the Tudor branded Jubilee style bracelet that utilized a divers flip-lock clasp with safety lock. 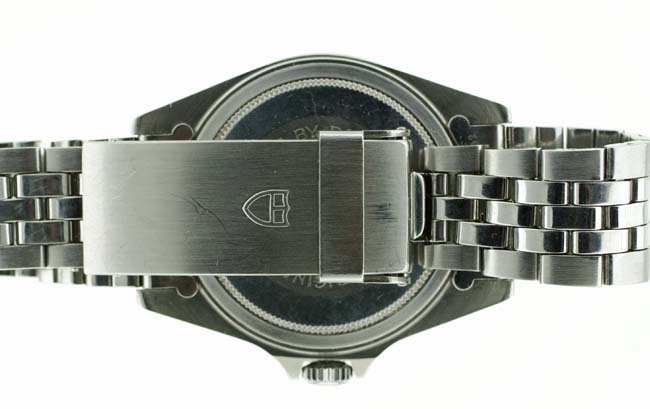 The bracelet model is a reference 6249. 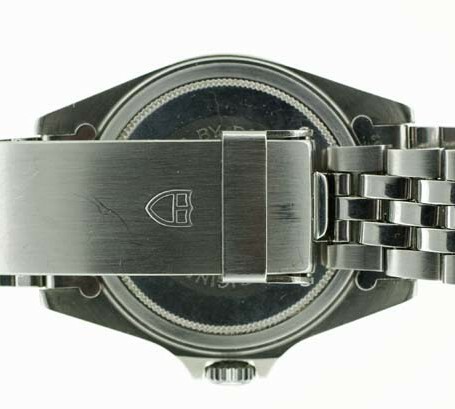 The watch measures 36 mm wide by 40 mm long. 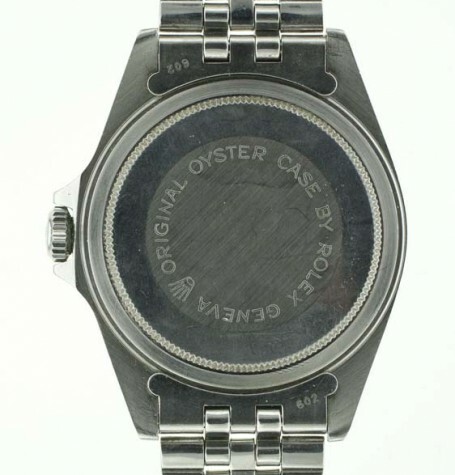 Essentially the same size as the iconic Rolex Datejust but more sporting appeal. 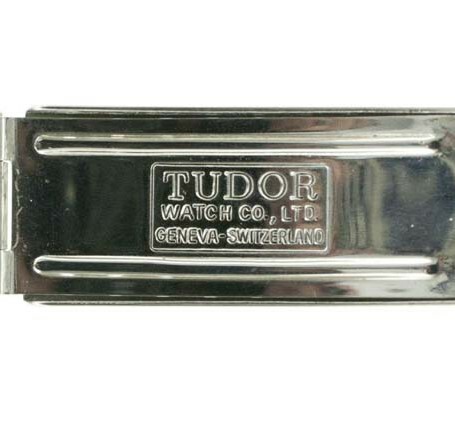 Tudor solid white gold ladies watch, brand new old stock.